Implement EMV-enabled chip-reading point-of-sale (POS) system. A risk-and-compliance-tested POS system, with integrated EMV and mobile payment technology to allow guests to pay for services quickly & securely. Reduced credit card fraud and chargebacks; significantly improved guest experience thanks to mobile payment technology. Entertainment resorts combine technology, creativity and commerce at scale to create immersive entertainment environments. The final product takes an enormous amount of work that is largely invisible to visitors. Just as a duck paddles furiously beneath the surface to create the illusion of an effortless glide, it takes concerted effort and innovation for entertainment operators to preserve the sense of effortlessness and magic. The resort which Protiviti assisted with creating this sense of effortless experience is a world-renowned destination attracting millions of visitors annually. 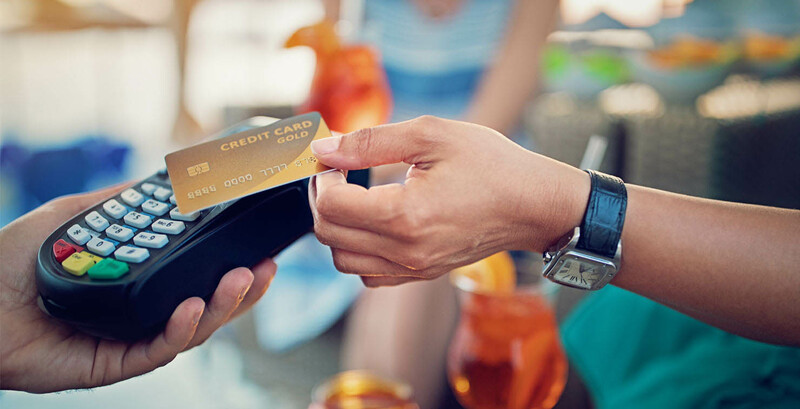 When credit card companies imposed new fraud liability rules in 2015, resort management immediately saw this as an opportunity to also enhance the guest experience. They partnered with Protiviti to install new electronic chip (EMV) readers at the resort’s entrances and vending locations that not only meet the mandate but also make it easier for guests to pay for attractions and services throughout the park quickly and seamlessly. Protiviti had been working with the company owning the resort, primarily in an internal audit capacity, for more than a decade. The company had already selected a payment systems vendor, but asked Protiviti to join the conversion in an advisory role to oversee implementation, risk management and compliance. The switch from magnetic stripe to a chip was initiated by credit card companies in 2015 to fight counterfeit credit cards and, of course, required merchants to invest in new chip-reading terminals. To force conversion, card issuers — Europay, Mastercard and Visa — changed their merchant agreements to specify that, beginning in October 2015, merchants would become liable for any fraudulent charges on cards not authenticated by chip readers. EMV rollout in the United States was timed to be fully operational before the 2015 holiday shopping season but merchants immediately ran into snags. Some turned off the readers due to customer confusion and an increase in transaction time. Others had to wait weeks or months for EMV certification with the merchant banks, plus a variety of other issues. As a company that trades on its ability to deliver exceptional guest experiences, our client couldn’t take any chances. They placed their bet on Protiviti’s deep payments knowledge and proven experience working successfully with the company throughout the years to provide the best possible outcome following the conversion. Protiviti initiated the work in collaboration with the project manager for the EMV conversion, and gradually assumed a more hands-on role as the project progressed. Using agile methodologies, the conversion moved rapidly in a series of “sprints,” with a new function being added or tested each month — PIN debit, mobile wallet, chip cards, etc. To ensure the best possible guest experience, the company’s industrial engineering department was able to streamline processes to trim two seconds off of card transaction times. The company plans to implement a “quick chip” technology at a later phase to speed up transactions even further. Following project completion, the entertainment resort is nearly 100-percent EMV compliant, with work at the final locations quickly approaching completion. Chargebacks related to card fraud are down significantly — a big win considering the high volume of credit card transactions that run through the resort daily. The resort’s attractions now accept Apple Pay and Android Pay. The project even yielded dividends behind the scenes where the deployment of PIN debit at the employee cafeterias, or “back office grills,” has significantly reduced transaction fees.